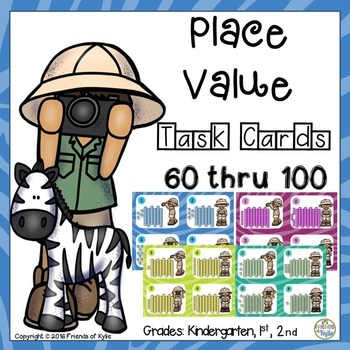 This set consists of place value task cards from 60 thru 100. Totaling 80 task cards plus two blank ones. 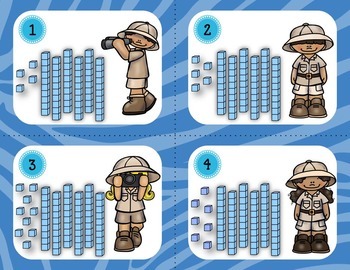 Each set of numbers has the base ten blocks and the matching number sets as well. 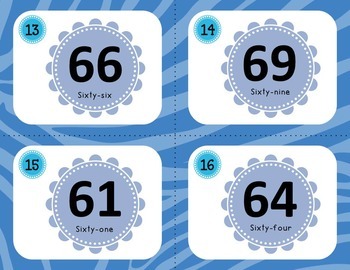 The numbers can be used as a matching exercise identifying the number with the base ten. Great for write the room, small or large groups, math centers, or just using the base ten blocks for the recording sheet. Every set of numbers has been separated by color. Recording sheet is a hands on sheet requiring students to color in their answers; then write the correct answer as well. There are two recording sheets; one showing 1 thru 12 and another one showing 11 thru 22. As a result, no answer key has been provided.